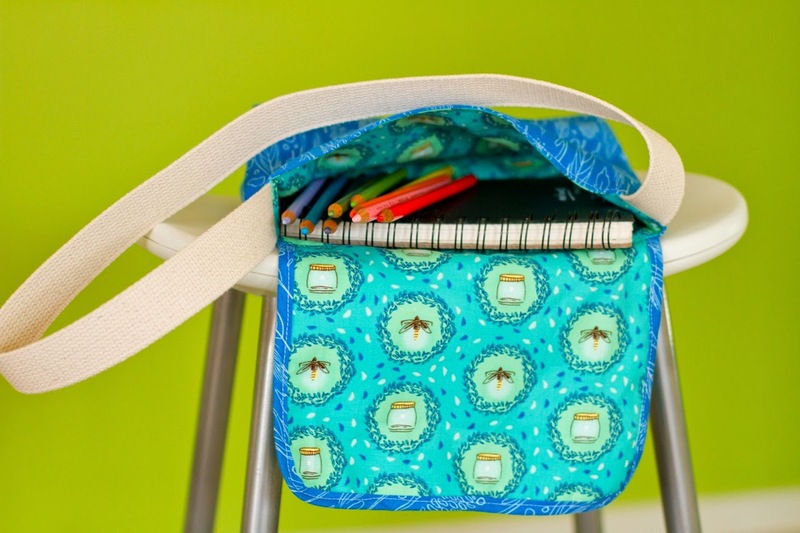 make it perfect: .Mini Messenger: a free pattern. 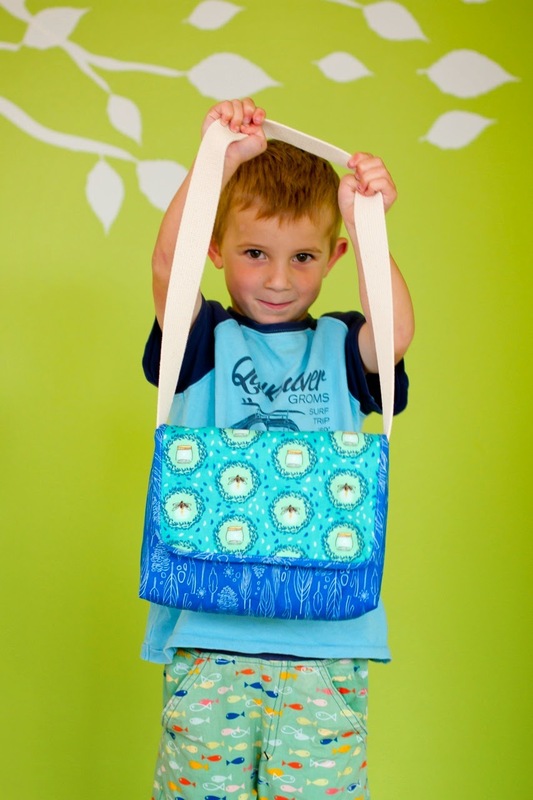 .Mini Messenger: a free pattern. Good morning friends! I've got a brand new FREE pattern to share with you today in conjunction with Sarah Jane's new fabric release and blog tour for Wee Wander. This fabric is absolutely to die for, I know that people are going crazy for it and it is by far my favourite collection Sarah Jane has produced. You can view the full range here. This little satchel bag came about because I got tired of carrying SO MUCH stuff in my bag every time we left the house! As well as the usual drink bottles and snacks, I'd end up with books, pencils, little toys and other treasures to cart around and I decided enough was enough! My kids are big enough to carry their own stuff now but they needed something practical to carry it around in. 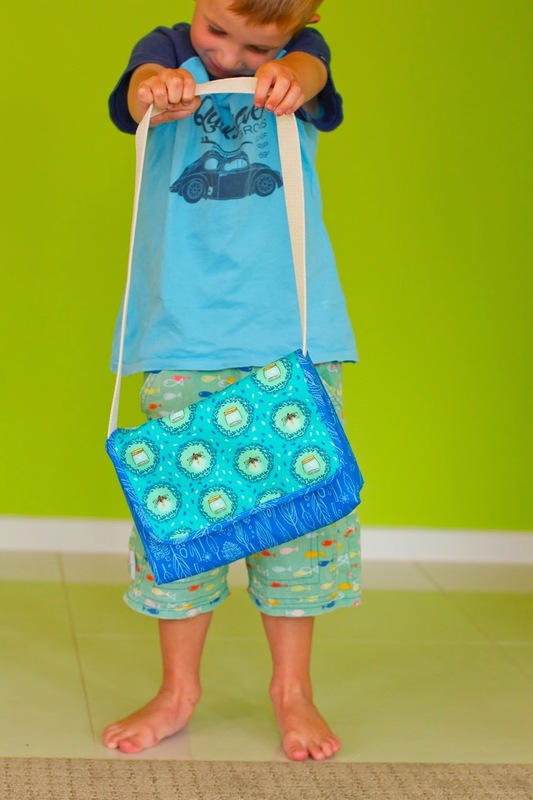 Mini Messenger is an ideal size for kids. My kids in particular are crazy about sketch books at the moment, if they have a sketch book and a handful of pencils then they are happy. I usually buy them the A5 size as they are more portable so I designed this bag to fit A5 size. 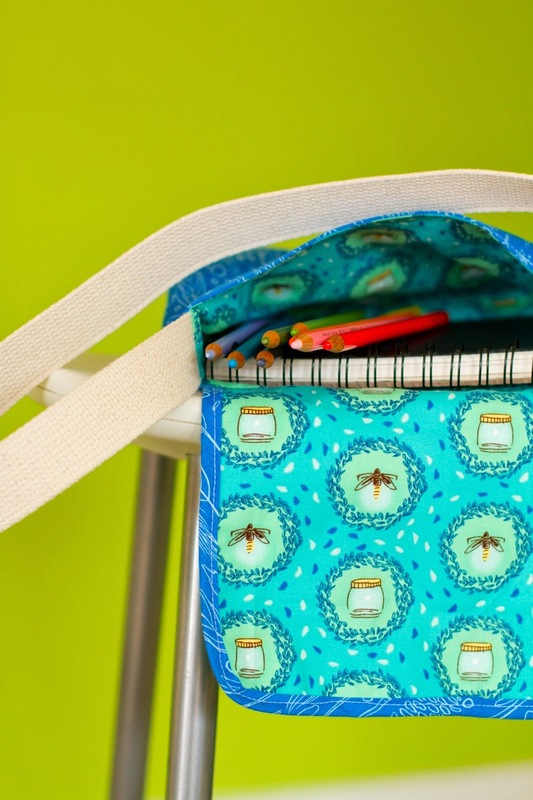 The finished bag measures 7"x10". 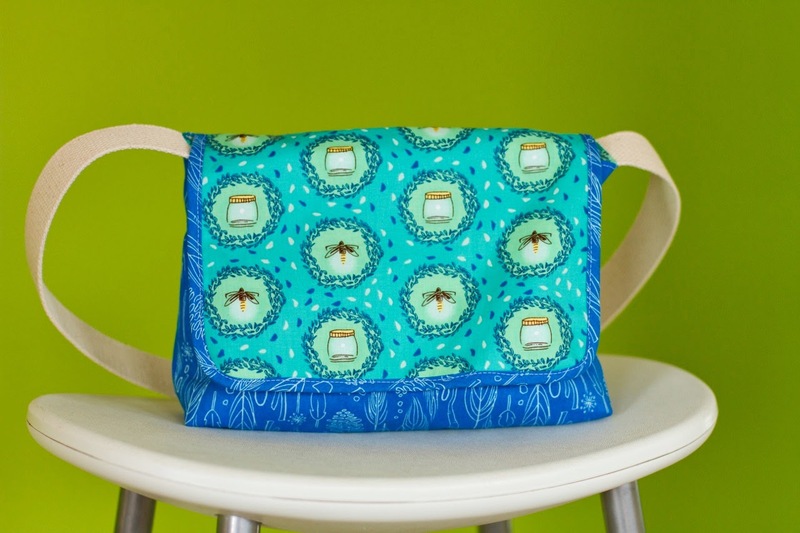 I've used two coordinating prints for my bag, but you can use more or less depending on what you would like the finished bag to look like. 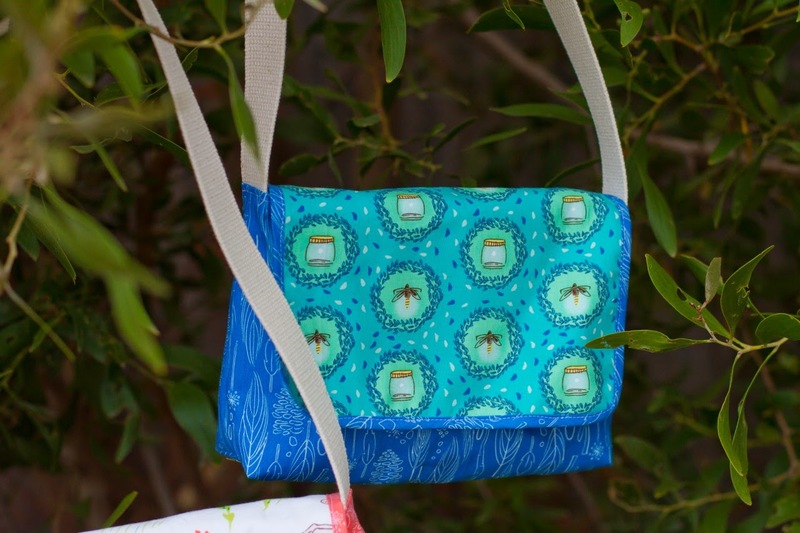 It is a really quick and easy sew, especially when you use the webbing for the strap instead of having to make your own strap out of fabric. 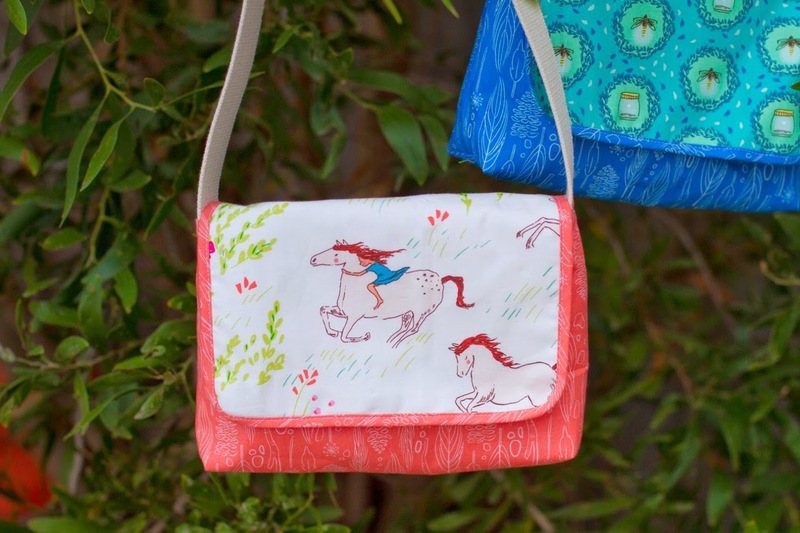 As well as being a great bag for your own kids to help you lighten your load, the Mini Messenger makes a fantastic gift to give to little friends. Fill it with a couple of treats and you're set! 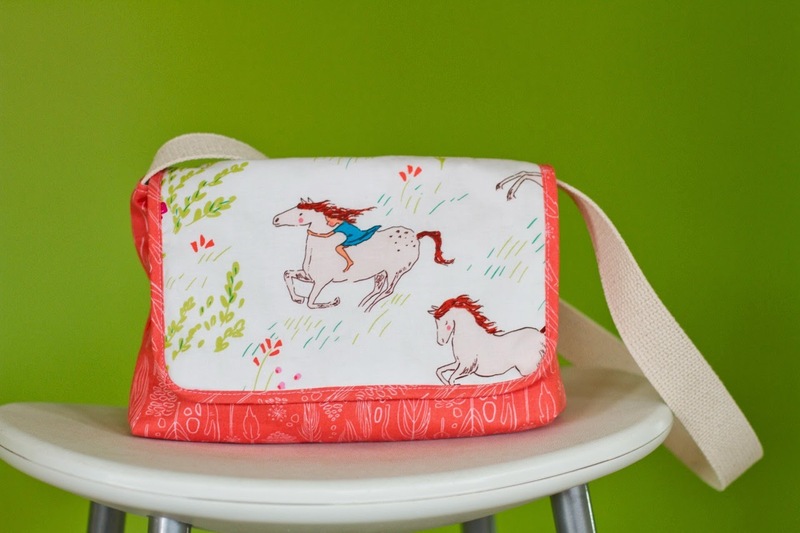 And I do suggest you use some Wee Wander fabric for your Mini Messenger - it's gorgeous! 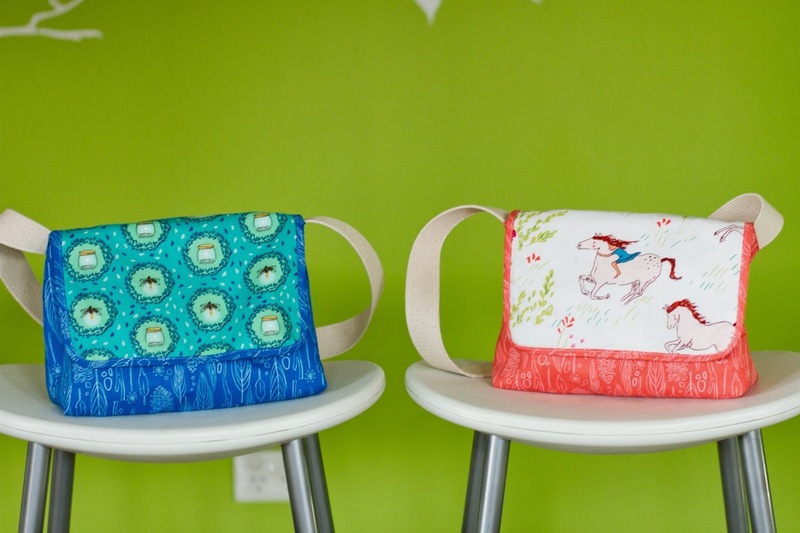 The Mini Messenger pattern is avaliable over at the Make It Perfect website as a free PDF download. As always, I love to see what you make with my patterns so feel free to send me some pictures or add them to the Make It Perfect Flickr group! That's awesome! Thanks for doing this. My kids would really love having their own bag so now I have no excuse. Just so beautiful designs!!! Love them. would love to get one or two, or more! These bags are great! Made them with my kids with a few changes, they decorated the tab and went around them with some free motion stitching! My kids love their book bags! This is a great size for a bag. My current favorite bag is messenger style, but vertically oriented. It is 9 inches wide and 10 inches tall, so not much bigger than these, but I didn't make it. Mine was designed with two smaller, open top pockets under the flap in addition to the main zipped compartment. I can get a notebook (similar in size to A5) and my Kindle Fire in the main compartment. Most days the bag holds everything I need. This is a great size for kids, and so simple to make. Love the fabric choices. Thank you so much for the mini bag! My granddaughter will love it!!! Thank you for the mini bag! My granddaughter will love it!